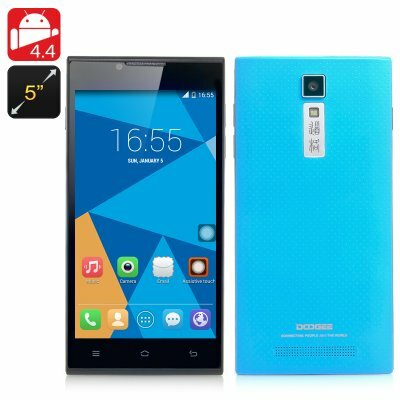 Successfully Added DOOGEE DG2014 Android Smartphone - MTK6582 Quad Core 1.3GHz CPU, 1GB RAM, 5 Inch IPS OGS 1280x720 Screen (Blue) to your Shopping Cart. DOOGEE DG2014 Android Smartphone from the official sponsor of Villarreal C.F has world class talent and scores a hat trick with a Quad Core CPU, 5 Inch IPS OGS 1280x720 Display and Android 4.4. The DOOGEE 2014, just like the Spanish football team that they sponsor delivers true class and flair with a powerful quad core MTK6582 CPU and 1GB of RAM it deliverers a sensational performance which lets you run applications more effectively and smoothly. The Mali-400 GPU helps out when it comes to graphics so playing games or watching videos on the 5 inch 1280x720 screen show in vibrant color which you can easily view from any angle due to the IPS functionality. With Android 4.4 keeping this phone on the ball you can access the pre installed Google play store for a wealth of apps and have the options customize the device however you like while taking advantage of the advanced features of the latest Android suite. Front and rear cameras let you enjoy video calling, snapping self portraits taking photos or recording videos and with 13 megapixels achieved through interpolation the results are sure to impress. 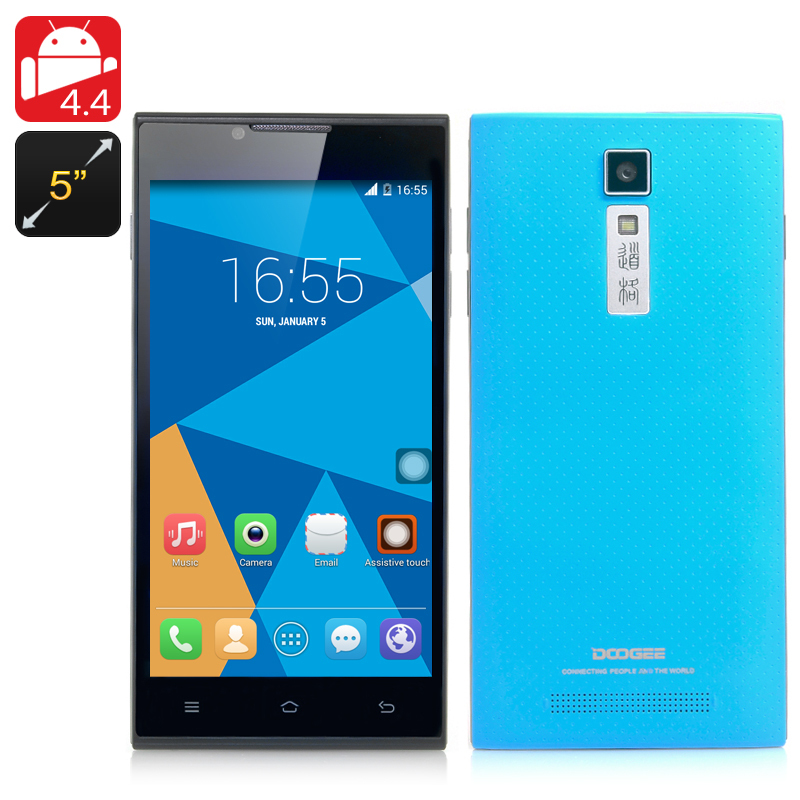 The option to use two sim cards with this phone mean that its well suited to any walk of life, be it the business minded, the hard working student, or the mother who is always on the go, this DOOGEE DG2014 is a true premiership winner that's established a strong following in the Smartphone market. In stock now, we guarantee that the DOOGEE DG2014 phone can be dispatched within one working day with a 12 months warranty. Brought to you by the leader in electronic devices and wholesale Android Phones, Chinavasion.